Keep your hands looking young and nourished with a natural, easy DIY hand scrub. 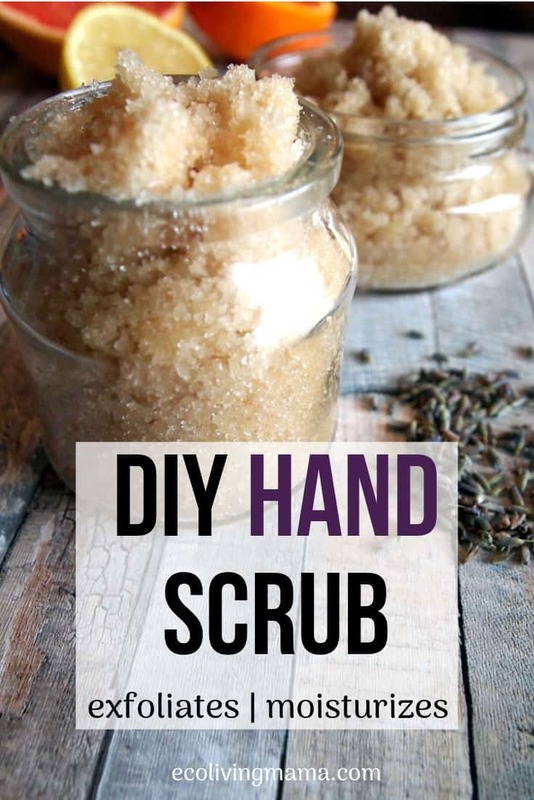 This easy hand scrub recipe does 2 important things for your hands: it exfoliates and moisturizes. 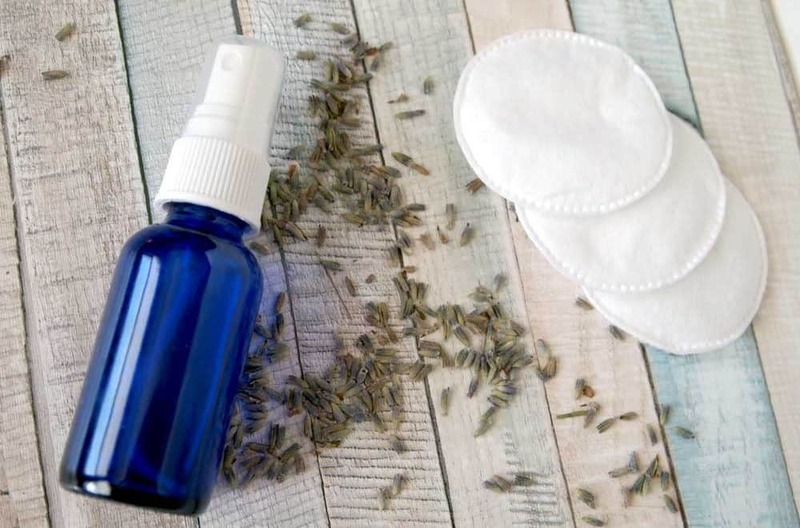 Plus it smells amazing (lavender + lemon = swoon), is inexpensive to make and comes together in just a few minutes. Basically, it’s the best hand scrub ever. Exfoliating your skin, and particularly your hands, is so important! Your skin is constantly shedding dead skin cells. Exfoliation removes those dead skin cells to make room for healthy, younger cells. Exfoliation also softens your skin, can reduce the appearance of wrinkles and pores, detoxifies and improves the overall tone of skin. Since your hands take a beating from being exposed to the elements, constant handwashing and basically everything you do ALL day, your hands need some TLC to stay looking (and feeling) fresh! HOW CAN I EXFOLIATE MY HANDS? There are lots of choices to naturally exfoliate your hands with. Salt, sugar, various herbs and botanicals and even chemical exfoliants can all be used to exfoliate dry hands and skin. 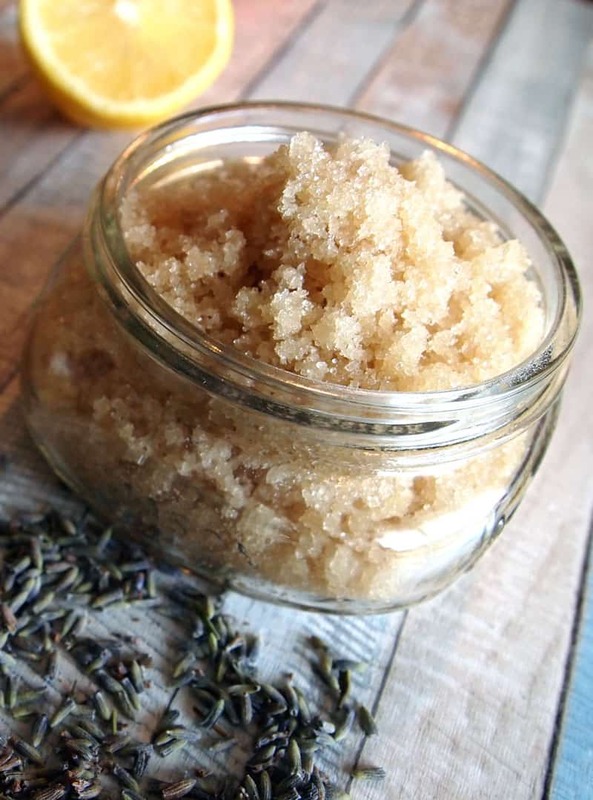 But my favorite way to exfoliate hands is with a homemade sugar scrub. I like sugar over salt for a hand scrub because I find it slightly gentler on my typically sensitive skin. 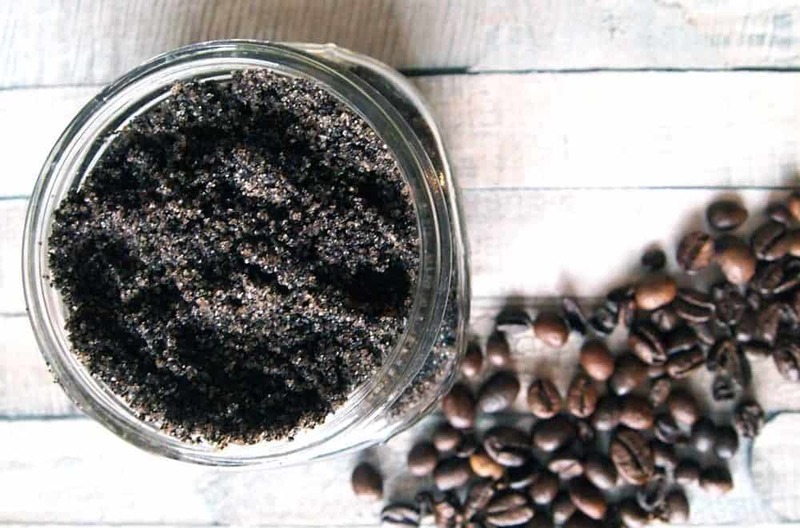 Don’t worry; there is still PLENTY of exfoliating power in this DIY hand scrub recipe! WHAT OILS ARE GOOD FOR DRY HANDS? My favorite carrier oil for homemade sugar scrub for hands is grapeseed oil. I love grapeseed oil for body and hand scrubs because it feels light on the skin and doesn’t feel like you dipped your hands in a vat of oil when you’re done. Grapeseed oil feels less greasy but is still extremely nourishing, which makes it my top pick for this hand scrub recipe. I always like to include jojoba oil in my body product recipes since it is so nourishing and skin LOVES it, so you’ll also find jojoba in this recipe. You should be able to pick up grapeseed oil at a natural grocery store (I got mine at Sprouts in the personal care section). Or it is, of course, available online right here. Add remaining ingredients and mix well. All of the sugar should be coated with oil. Scoop into glass jars and secure with a lid to keep the scrub fresh. If your hand scrub begins to separate after a while, just give it a stir to incorporate the oil back in. You can skip the vitamin E if you don’t have it on hand, but I really love it in skincare recipes. It is especially nourishing for hands and great in this scrub. 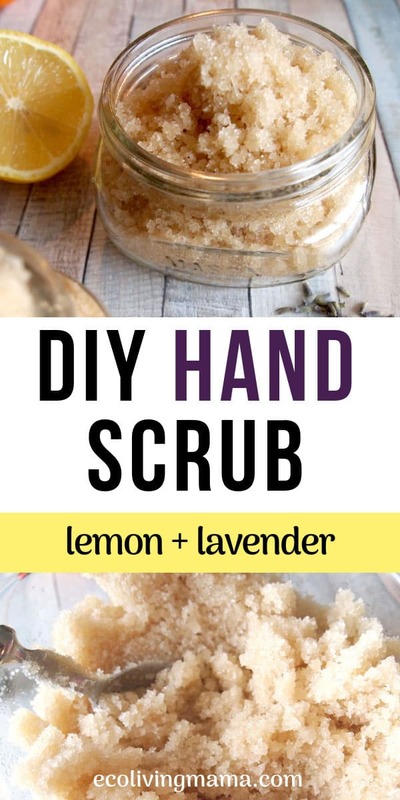 This recipe makes approximately 16 ounces of finished hand scrub and will fill 2 half pint (8 ounce) jars. I like to reuse glass jars from the kitchen or old beauty product containers for projects like this. Mason jars also work well for storing your homemade hand scrub. 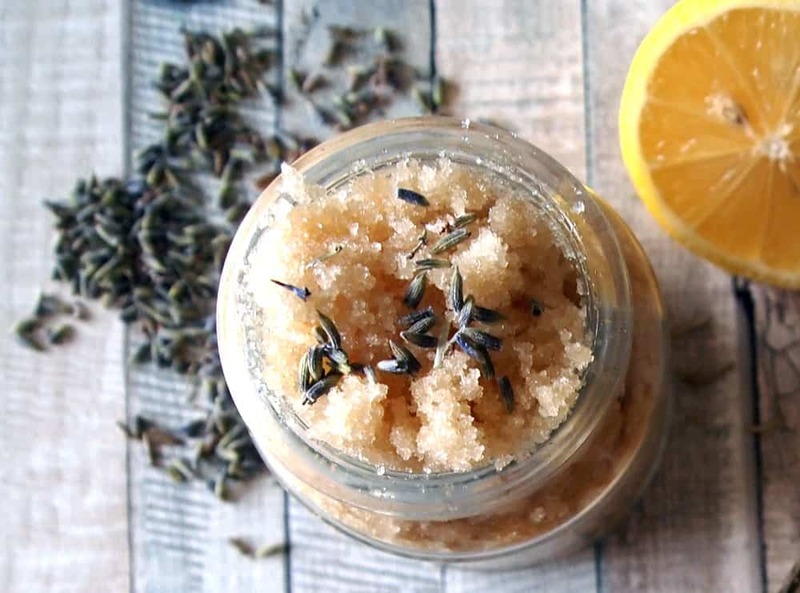 Lavender and lemon hand scrub is a great DIY gift idea! Plus it’s so easy and inexpensive to make, you can whip up a bunch of jars in a matter of minutes. Throw on a cute hang tag and a ribbon and you’re done. Pair this with my DIY cuticle oil (also super easy to make) for an adorable hand care gift set that you can totally DIY yourself in no time. This would be perfect as a teacher gift or hostess gift. Try this moisturizing hand scrub after an herbal nail soak for a spa-like hand and nail treatment that’s easy to do. Both of these recipes will leave your hands and nails nourished and looking amazing. 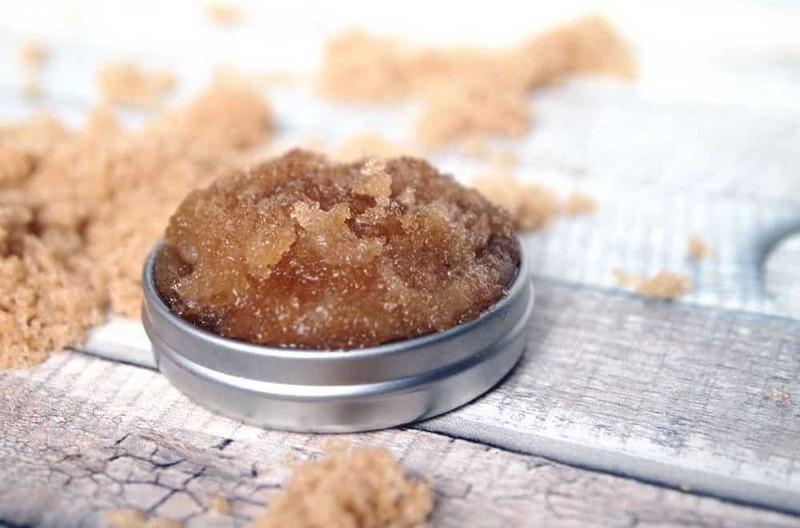 However you opt to use this sugar scrub, your hands will be happy. Hi Amanda, I think olive oil would be a good sub for grapeseed oil. It will turn out slightly more nourishing so would be a great swap for extra dry hands.